The Ethernet library lets you connect to the Internet or a local network. You can create applications like web servers, or access web pages, send email or a variety of other internet functions. 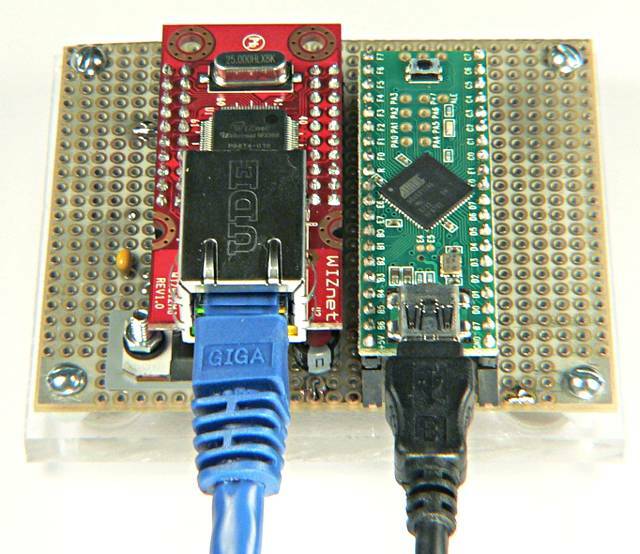 Ethernet works with Teensy, and Teensy's "print" function includes block write optimizations that allow more efficient data transmission than standard Arduino. Ethernet from Teensyduino supports W5100, W5200 and W5500 chips. 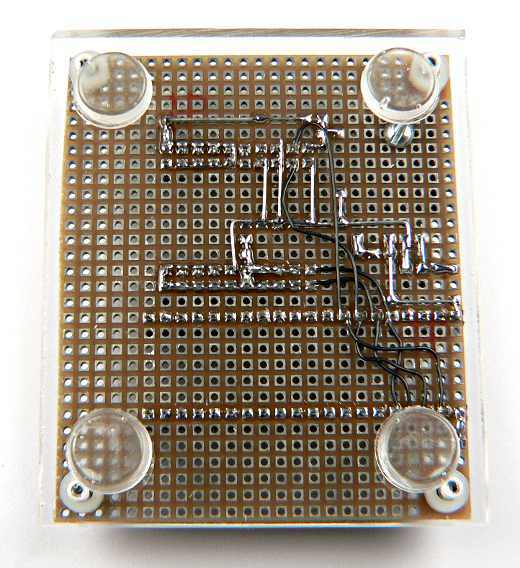 The chip type is automatically detected. W5x00 must have chip select signal connected to Teensy pin 10. Configure which pin is used for the CS signal. Must be called before Ethernet.begin(). Initialize the Ethernet library and hardware. "mac" and "ip" are required. "gateway" and "subnet" are optional. Create a server that will listen for incoming connections on a specific port number. Begin listening for incoming connections. Wait until somebody connects to the server port, then return a Client object that can be used for communicating. Create a client object that will connect to another computer at a specific IP number and port number. Make the connection. Returns true if the other computer accepted the connection. Check if any data has been received and is available to read. Read one byte received. -1 is return if no data received. Check if the other computer is still connected. Disconnecton is reported only after all data has been read. Disconnect from the other computer. The Ethernet Library comes with examples, like this simple web server which can be accessed from any browser. This example code can be loaded from the File > Examples > Ethernet > WebServer menu. You must edit the IP number to a number which is appropriate for your local Ethernet network. 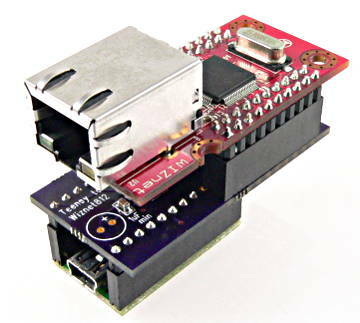 The WIZ812 Adaptor Kit is the easiest way to use the WIZ812 Ethernet module. But it can also be connected with only 6 wires. 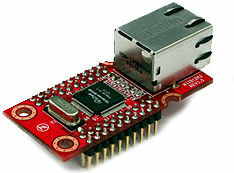 You will need the WIZnet WIZ812MJ Ethernet module, which is available from several distributors at very affordable prices. Only 4 signals (MISO, MOSI, SCLK, SS), plus 3.3 volt power and a reset are required to make the WIZ812MJ work with Teensy or Teensy++. The WIZ812MJ has many pins, but nearly all connect to ground or 3.3 volts, or aren't used at all. This bottom side view of the WIZ812MJ can make connecting the wires much easier. Here is the wiring used for the board used to test Ethernet on Teensy. The 4 signals lines are connected to both Teensy 2.0 and Teensy++ 2.0 pins, so either board may be plugged in. Normally you would only connect to the correct 4 pins to avoid losing use of the other 4 in your application. For more detailed information about the Ethernet library, please refer to the official Ethernet page.